2. 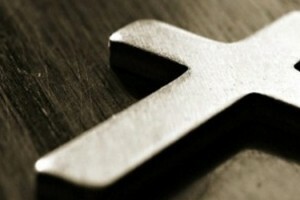 You can’t think yourself into being Christian : Why is NM Important? Continuing with my weekly New Monasticism reflection…. 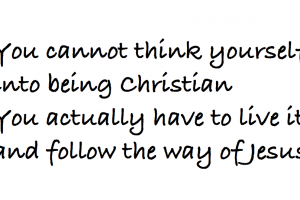 It might be a very obvious thing to say, but you cannot think yourself into being a Christian. It actually takes a lot of formation, intentionality and experience of God to be able to even begin to comprehend what it means to commit to following the way of Jesus. One of the great problems of the Church in the West is that the Church is still thoroughly affected by modernist culture that was obsessed with the Scientific method as forms of Truth. And when I say Truth I mean objective Truth. They truly did believe that absolutely everything could be explained in a hypothesis and it was only a matter of time before Science will be able to explain and know everything. By implication then, there would be no place for subjective experience, art or spirituality. Now looking back from our current Post-Secular Culture we know that to be a lie. So weirdly some Churches and some in the Churches believe that Christianity is a ‘belief’ system, a way of thinking. I have never understood this. Christianity is so much more than a way of thinking, it is about a way of life, of living, in obedience to the way of life explained by Jesus as recorded in the New Testament of the Bible. The Early Church understood this, for them, they understood the implications of the Jesus as a way of life, a calling to human community, of sharing material possessions, of giving away generously with those who had little and seeking to pray and encounter God through forms of prayer and worship. So Christian formation in the Early Church was pretty serious. You didn’t attend an Alpha or other course, you had to live, breath, and serve God with others to begin to get to know what it meant to know God. The Christian Monastics, seeking to escape the excesses of the Roman Empire, escaped into the Deserts to live this way, who are our inspiration right up to today. This takes us right back to the central teaching Jesus in what is called the Great Commandment which draws on the central teaching of the Hebrew Scriptures – the Great Shema – Hear O Israel, the Lord our God is One, you are to love the Lord your God with all your heart, mind, body and strength, and love your Neighbour as yourself. Or as a wise Benedictine Abbot said – Learn to receive the love of God, to allow this love to transform your heart and being so that you can truly love others, even those who are strangers. This is sooooo much more than thinking. New Monastics take this level of formation and living out a whole of life approach to Christianity very seriously. My good friend Andy Freeman of the 24Prayer Community once described formation as the Living Room, the Boiler Room and the Class Room, and that seems so right for me. Heart, Mind and Body….. Otherwise how are we being transformed? So in a Church so obsessed with words and thinking, a depth of spirituality expressed in life, in prayer, in encountering the love of God is I think a crucial corrective, and this is a commitment that many New Monastic Communities think is essential. 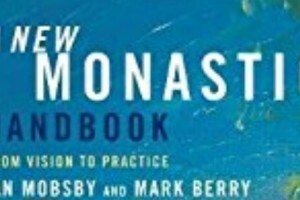 What is New Monasticism? 5: . A commitment to missional loving service as an individual and as an ecclesial community. In this the fifth blog on the essentials of New Monasticism – we look at the element focused on loving service. As New Monastic Communities draw on a mixed vocation of Monk and Friar, they hold onto contemplative prayer and missional loving service. This is why sometimes New Monastic communities are called ‘small missional communities’ as a particular focus on ‘prayerful action’. – the alleviation of the suffering of the poor in sharing food, money and resources. Social and economic justice. – hospitality in terms of friendship, kindness and human dignity. – opening up the gospel in relational approaches to sharing the Good News of Jesús and the love of God. – challenging injustice, oppression of people, the environment, other animals and the planet. Social, economic and ecological justice. It is vital then in an New Monastic Community that individuals are committed to mission and loving action just as much as they are committed to community and contemplative prayer. These need to be shared by the whole community and well as individual actions. 4. A commitment to missional loving service as an individual and as an ecclesial community. Following on from the last three blog posts, this blog attempts to explore what is New Monasticism regarding Spiritual Practices and Radical Community. Spiritual practices in traditional religious communities relate to the vows the individual is expected to make – such as poverty, obedience, chastity and stability. These then relate to a Rhythm of prayer, work, rest, being community and aspects expressed as worship, community and loving service. Now each of these disciplines relates to a whole host of practices that the individual seeks to consider in a pattern that relates to them, and also in a pattern that reflects to daily and weekly flows of the community. Will you follow the way of Jesus Christ through the practice of prayer (in listening and in stillness; in silence and aloud; individually and in community; daily and within a weekly rhythm), and the practice of devotion (in meditation; in contemplation; in leading and participating in communal worship; and in the giving of time and resources)? Now moving onto Radical Community. Being and doing human community is tough. We have all grown up in such an individualised, consumerist, commodified and egoic world, that makes mediating being a human community really difficult. It is true to say that we all as individuals bring our strengths, weaknesses and wounds. That is why in all the New Monastic communities I have been part of, everyone is expected to have their own external spiritual director and also therapist if needed, as there can be a danger that people play out their stuff in community. Community can lead to the best or the worst of us as individuals. This is why the fruits of the spirit are essential – kindness, gentleness, patience etc and also the need for humility and mutual vulnerability. One innovation I think that is crucial are different spaces of belonging. There is need to mark different spaces for the spiritual journey. In traditional communities these are known as Aspirants, Novices, Professed. In New Monasticism I think we use some of this language – for Aspirants, Participants and Professed. All part of the New Monastic Communities but different spaces. So coming back to what is community – this is where I am going to disagree with a lot I have seen. With so much of our culture minimising real community – community does mean I think the need for residential community – people actually living together and minimally people living dispersed but near by. In my community in Peckham there is a mixture of the two – but where we do want participants and the professed to love nearby and ideally with others. So the internet website Facebook and all the rest are great reaching out into the world – but they can never be a real relational community because you don’t have to face your false self or your shadow side through a cyber connection… these are networks not a form of religious communities. I do believe New Monasticism needs to be localised if it is really committed to radical community that does worship, mission and community together. These communities are called to contemplative (or prayerful) action – prayer and service as real people in real contexts where all religious communities are called to serve the poor, the needy, the oppressed, the searching. These are all needed if there is an attempt to be an authentic and radical New Monastic Community. Following in this series building on my two previous posts, I want now to make a case that a form of contemplative prayer is essential if this is really New Monasticism. Whether you read the work of Shane Claiborne, and American New Monastics, or those coming out of the Catholic Worker Movement and liberation theology in South America or Europe, a recovery of contemplative prayer is for me, essential. Contemplative Prayer is a commitment to a form of prayer that is about encountering God, and it starts with silence. There is nothing like silence to have to face who you are beyond the ego, pride, entertainment, immaturity, that forces you to face who you are, and an openness to encountering God on God’s terms. Prayer is so often dumbed down in todays world, where at its worst prayer is uploaded as God as heavenly counsellor who then downloads answers back to the individual. This is so utterly individualistic and consumerist it misses the point. Ultimately prayer is a medium of encounter with God. It is inherently mystical, uncontrollable, and other. Too often I hear people say – I am an extrovert – contemplative prayer is not for me – because it is for introverts. This is just so wrong and a collusion with the shadow or false self (see the work of Richard Rohr and others on this subject). There are different forms of prayer, ones where we encounter God from nature, from mystical experience outside of ourselves, but importantly here, also encountering God from within ourselves, where God often speaks through the details of our lives. The bible often uses the language of the followers of Jesus as having ‘a temple of the Holy Spirit’ within them. This then requires us to seek God from within as well as without. New Monastics I think therefore draw on different forms of contemplative prayer. For some more into mystical theology and a bit more catholic draw on the Benedictine, Franciscan and Ignatian. Others draw on a revitalised Celtic tradition of nature inspired Christian prayer, and others draw on more contemplative prayer coming out of the charismatic movement descovering spiritual practices. All these traditions draw on a similar root of contemplative prayer. Without this focus on getting beyond your thinking and feeling, the individual is too locked into their own self. True contemplative prayer seeks to get beyond this as part of a call to prayer as part of ‘Prayerful-Action’. This form of prayer is about seeking to catch up with what God is doing, and less about ego-consumptive gratification – the curse of so much of modern Christianity. To be able to love God, love yourself and love your neigbour (Summary of the New Commandment of Jesus) each Christian needs a healthy, nourishing and sustaining form of Christian spirituality. This comes from study of the Bible, dialogue amongst Christians and importantly here – from Prayer. In the ancient prayer traditions of the Church, there are two forms of prayer – the Via Positiva – the sense of the presence of God, and the Via negativa – the sense of the absence of God. When we encounter God, then this can lead to joy, warmth and that sense of contentment. But sometimes God feels very absent, which is hard and painful. Some very unhelpful writers have said that pain is an aboration to the spiritual prayerful path. This I would say could not be further from the truth. Pain is part of the human condition, for us to grow in our spirituality from infancy through adolescence into maturity, minus the false self and ego, change is painful. Infact the mystics teach us, that without pain we would not change. This is the challenge of going deeper with the path of Jesus, and prayer is very much part of this process. Given all of this, I am convinced that contemplative forms of prayer are not just desirable for new monasticism to be real and deep enough to sustain such a way of being s Christian disciple, I want to argue it is essential. Otherwise New Monasticism just becomes one more romantic fadism that had great promise, but did not deliver. If New Monasticism is going to be focused on ‘contemplative action’ then it is essential that those who are activists don’t just act out of their own strongly held convictions, but God MUST be the source of the action. And equally that Prayer that does not lead to loving service, is again wrapped up in self-serving Christian spirituality, looses the DNA of Jesus who reminds us that he came in the very nature of a Servant. So if there is no contemplative prayer, I want to argue its not new monastic, and it is therefore not following the path that leads right back to the Desert Mothers and Fathers who began Christian Monasticism on a focus on prayerful action in the deserts of Alexandria, Syria and Palestine. Traditional religious communities follow a rule of life which has elements of prayer & worship, work, rest, eating and so on. This has set times of prayer which can be as many as six to even eight set times a day. 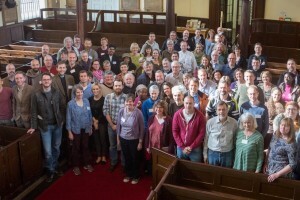 New Monastic communities hold onto this concept of a Rhythm of life which is less prescriptive about when but encourages the follower that there should be some form of Rhythm of work, prayer, rest, participation in community and loving service to others – but this needs to relate to the personality, vocation and life situation of the individual. In this way New Monastic communities are like what are called ‘third order communities’ in that a Rhythm of life (ROL) is more tailored to the individual. However New Monastic communities commit to seasonal vows, promises and practices that are usually written together by a community, and not like third orders who have a totally individual ROL that was written by an individual. These communal and shared seasonal vows tend to be committed to every year in New Monastic Communities. Further the ROL of the communities will have certain charisms – values and understandings particulatly catered to the particular calling or vocation of the community. For example the community I am part of sees itself as specifically urban, also a learning community, and seeking to serve God in the context of Peckham. Like traditional religious communities, New Nonastic communities structure their ROL around spiritual practices. In this way a ROL creates a structure for an individual to thrive – like a plant growing into a lattice or frame to allow it to flourish. In this same way a ROL seeks to be a deep way of following the way of Jesús as seen in the Gospels, seeking to be faithful to Jesús’s teaching to the disciples. In this way the structure of a ROL allows the follower to be open to the Holy Spirit in the context of life. Not unlike the ability of musicians to be spontaneous in a Jazz Band. The focus then of a ROL is to engage with the question ‘How should we live to be faithful to Jesús’?’ This then is a deeper question than ‘What should we believe?’ Because it is about application of belief to tie practice of living well. 3. Orthodoxy – right thinking. So a good ROL needs to include the head, heart and life….. Many people have said they don’t get what New Monasticism is. I therefore thought it would be good to start to blog to explain how I think the term is being used. The first thing to say is that I have never liked the term because it has caused so much confusion, however, for some reason those outside the Church do get it, so this is why I think the term has got used. The confusion I think is for those who have some form of churched experience, and therefore it is confusing and conjures up an idea of people being over pious and wearing mediaeval clothing – this is absolutely far from the truth. I will unpack each of these key elements before proceeding with exploring key elements. Dear Friends. First a big apology for blog silence. We have been amazingly busy launching the whole new venture of the Moot Community at the Guild Church of St Mary Aldermary, and in particular, gearing ourselves up for the Lounge Project, an attempt to have an arts and spiritual and cafe space to promote wellbeing, right living and the Christian faith and spirituality. Nothing like starting a big project in a world resession!! So I am pleased to say I have the good fortune of going back to Australia to have a bit of a rest and catch up with friends, and do a bit of speaking and encouraging of emerging/fresh expressions/new monasticism. I will post more about this when it is clearer… I will be in Oz from 23rd July to 4th Aug.
Really pleased to say that Moot will be doing 3 services at the Greenbelt Festival on Sat, Sun and Mon, and I will be speaking on one panel and one meditation and prayerful session in Soul Space on the Friday night. From the 1st of Feb we are entering the launching of the new book of which I am the Co-Editor ‘New Monasticism as Fresh Expression of Church’ part of the Ancient Faith Future Mission Series. So there are launch events on Tuesday (1st) in London UK and Thursday (3rd) in Manchester UK, and then 17th Canberra AUS. This will be followed by launches on 17th March in Newcastle AUS and Melbourne 25th March in AUS. It’s a great book, with chapters by: Shane Claiborne (Simple Way Community), Andy Freeman (Reconcile Community Reading & 24-7 Prayer Community), Mark Berry (Safe Space Community), Diane Kershaw (Order of Mission), Ian Adams (CMS Small Missional Communities), Tessa Holland (Contemplative Fire), Tom SIne (Mustard Seeds), Bp Graham Cray (Archbishop’s Mission and Leader of Fresh Expressions Team (UK), Philip Roderick (Contemplative Fire), Pete Askew (Northumbria Community), Abbot Stuart Burns (Mucknell Abbey). I think it makes a great second book in this important series. We have started working on a third book in the series, which Aaron Kennedy (from the Moot Community) and I are editing with Graham Cray on the whole issue of Fresh Expressions and the Kingdom of God.